The Power, Energy and Business Development Ministry is set to present a Cabinet paper seeking approval to purchase 200MW of barge-mounted power from a Turkish company as a measure to meet the long-term deficit in power supply in the country. The barge, owned by Turkish company Karpowership, is to be connected to the CEB grid within a month to supply electricity for a period of six months. According to Power, Energy and Business Development Minister Ravi Karunanayake, the move is to ensure that the country has a long-term solution to the deficit of 350MW-400MW. “We have not added any new plants to supply to the grid for over five years so this is a solution we have resorted to,” he said. The Minister also stressed that adding plants with low generation capacity was not sufficient to address the problem. “Adding 50MW here and there does not help when you need a large capacity to address the issue; no one talks of this,” he said. The barge was among several proposals sent to the Ministry by bidders when the Ministry called for alternate power supply plans for the country, he said. However, the barge has not received any approval from the Public Utilities Commission of Sri Lanka, nor has the Ceylon Electricity Board been informed of any plans to connect the supply, Daily FT learnt. According to the Ministry Secretary, the Turkish company will set up an LNG barge at the end of six months which will be able to supply 400MW to the system. The Ministry is banking on the ship to cater to the current demand in electricity as the CEB has faced difficulties in producing electricity due to dry weather which has reduced the capacity of hydropower generation. Although PUCSL has given approval to purchase 100MW of ‘supplementary’ power for a period of one year, only one producer, VPower, has signed the agreement with the CEB, with the other two producers, AlTaaqa Energy Services and Aggreko, yet to sign after ironing out concerns regarding the Fuel Supply Agreement. “They had issues about the supply arrangements and we have to negotiate terms. The Ceylon Petroleum Corporation has given conditions given for a long-term supplier even for the emergency power suppliers so we needed to renegotiate,” Dr. Batagoda confirmed. The Ministry is set to present another Cabinet Proposal seeking permission for the CEB to directly pay CPC. Following the decision to make this arrangement, AlTaaqa Energy Services has agreed to sign the six-month contract to supply power, however Aggreko is yet to respond, Batagoda said. 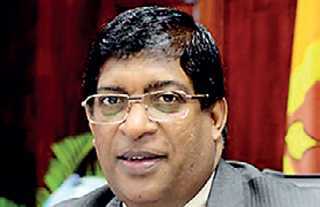 Despite the arrangements made for supplementary power purchases, with the largest supplier, VPower, represented by local company Green supplying 48MW, the CEB is still not confident if it will be able to give a continuous power supply after 10 April as promised by Power Minister Ravi Karunanayake. According to sources in the CEB, Asia Power is till supplying only 35MW out of the 50MW capacity and is expected to reach full capacity only this week. Both Asia Power and ACE Power Matara signed contracts to supply a total of 70MW to the grid for a one-year period. Further the Mahaweli reservoir is scheduled to release water for cultivation purposes later in the month, which can generate up to 200MW depending on the quantity released. However, the predictions are yet to be done for this, CEB sources told Daily FT, leading to uncertainty on capacity to ensure continuous electricity supply from 10 April as planned.